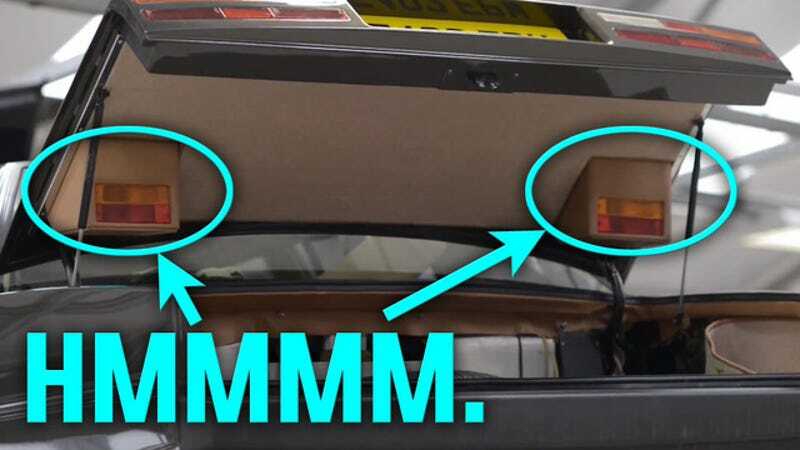 What's Going On With The Aston Martin Lagonda's Hidden Taillights? So this great /drive video about the Aston Martin Works is, of course, full of all kinds of good stuff, but this one screengrab shown to me by fellow Jalop Maté really caught my eye. It's an Aston Martin Lagonda, and that's the inside of its trunk. With an extra set of taillights. Okay, so I get that the Aston Martin Lagonda is an incredibly eccentric and advanced car. I know, for example, that it was one of the first cars to have a computer controlled dash with CRT displays, and I even know that the CPU for that dash is the same one that controlled our precious Pac-Man machines. I know that this was a car that cost around $200,000 in today's dollars (around $75,000 or so in 1980) so if they wanted to throw in an extra set of taillights inside the trunk, have at it. What I don't quite get is why. I can tell what those lights are for— they look to be used in situations where you're driving around with the trunk lid open, and you still want to be nice and legal to the people behind you. Sure, great idea. 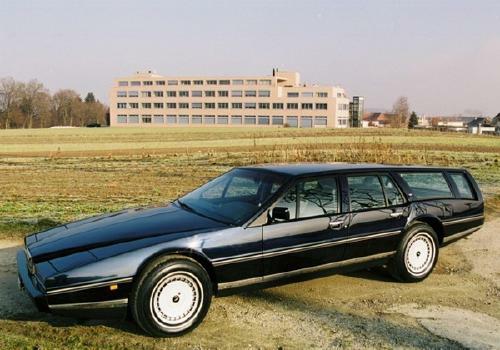 But who the hell would be buying an Aston Martin Lagonda with the intention of hauling crap around too big for the trunk? Were there a lot of Barons and Dukes running around in 1980s Britain operating landscaping companies out of the trunks of their Lagondas? Was it a common site to see these things with the handle of a lawn mower sticking out from the open trunk? I know they made a few one-off wagon versions of these, which you'd think would be the choice for landed gentry with a need to haul a bunch of rusty tricycles or big sacks of fertilizer.